In this era of anthropogenic climate change and extreme weather, how do we transform our waste management systems into zero waste systems? And what is New York City trying to do about it? 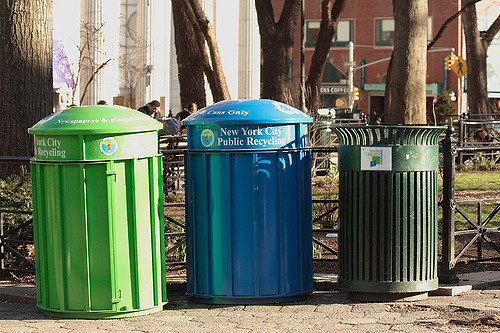 Much work needs to be done-between 85-90% of all waste generated in NYC is landfilled. This event is free and open to the public. View Zero Waste by 2030 Presentation here. Marc de Konkoly Thege of RoHo Compost will review the status quo of NYC waste management systems, and look at the waste system reform being undertaken. Join the discussion and examine the role that the New York City Department of Sanitation, the private waste carting industry, NYC’s upstart “microhaulers” like RoHo, and you, the concerned citizen, have in these efforts! Marc de Konkoly Thege founded RoHo Compost, a composting and food recovery nonprofit, in 2016 with his law school colleague, Alireza Vaziri. To date, RoHo Compost has diverted ~2.5 million pounds of food waste from landfills. Marc is a native New Yorker, and a current resident of the Bronx. He’s passionate about creating an equitable waste system for all New Yorkers, and fighting the threat of climate change. He also loves art, and makes sculptures, mobiles and installations from waste materials like discarded cardboard.